Whether you purchase your product from Prototech or somewhere else, we've got the expertise to set it up for you. 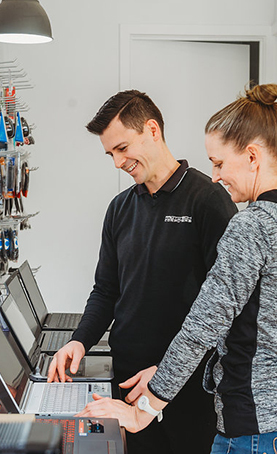 From first-time start up to software updates, desktop clean-up and more, we will ensure your new device is ready to perform at its best. that you'll have access to all of your files.